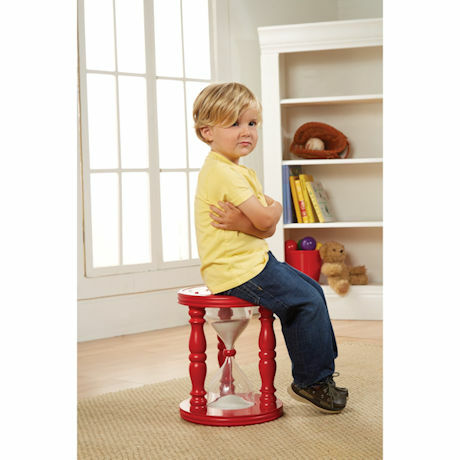 Even the most adorable children (and grandkids) need the occasional time-out. Put them here and they won't mind quite as much. 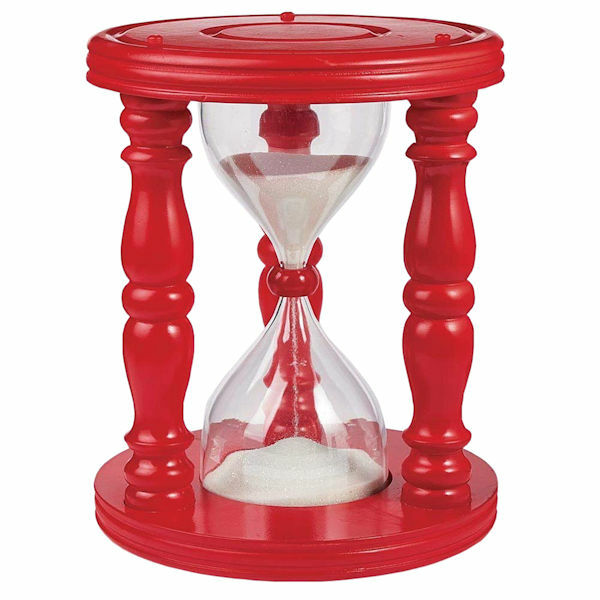 When the sand runs through the hourglass (about ten minutes), the time-out is over. And when you're child is being a perfect little angel, it makes a great hourglass egg timer. Vintage design with turned spindles is wood and MDF, heavy (break-resistant) acrylic, and white sand. 11" diameter, 14" high. Maximum weight 125 lb. Adult supervision; not a toy. No gift box.